Golf is For Families... Gather Yours & Take a Swing! Book your next round as a family. Who said you can't go clubbin' with the kids? The Heritage Country Club is perfect for every member of the family. 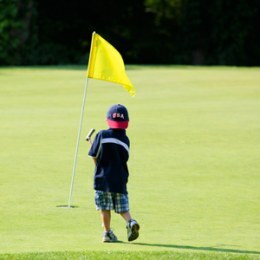 Advanced players can be challenged on our spectacular layouts and its a great way to combine competition & family fun. Make a fantastic day of it and enjoy family golf & swimming in our Olympic size pool! Combine the best of both worlds and enjoy pool side food service.